I’ve been a bit busy lately, organizing for the move and trying to be a bit more minimal in regards to my possessions. I’ve been pretty good so far, cutting ties with things that I previously felt the need to keep for whatever reason. I find most of the stuff I’ve gotten rid of falls into the “vaguely sentimental” or “vaguely valuable but difficult to capitalize / sunk cost” categories. The thought of moving all this crap is a good motivator, and has led to a pile of free stuff on the curb. In the end, I won’t remember the vaguely sentimental and I would gladly lose out of a theoretical money or accept a sunk cost (such as a half-bottle of automatic transmission fluid) for the right to not have to think about it or move it anymore. Anyways, this is all to say I haven’t been as able to fulfill my garbaging duties, or if I have then I haven’t been able to fulfill my cataloging duties. I should be posting more regularly soon enough. In the meantime, here are a few things to look over. The big (mother?) dog was broken off when I found this, but a little krazy glue fixed it up just fine. It’s a pretty cute piece, though I don’t smoke so I have no real use for it. 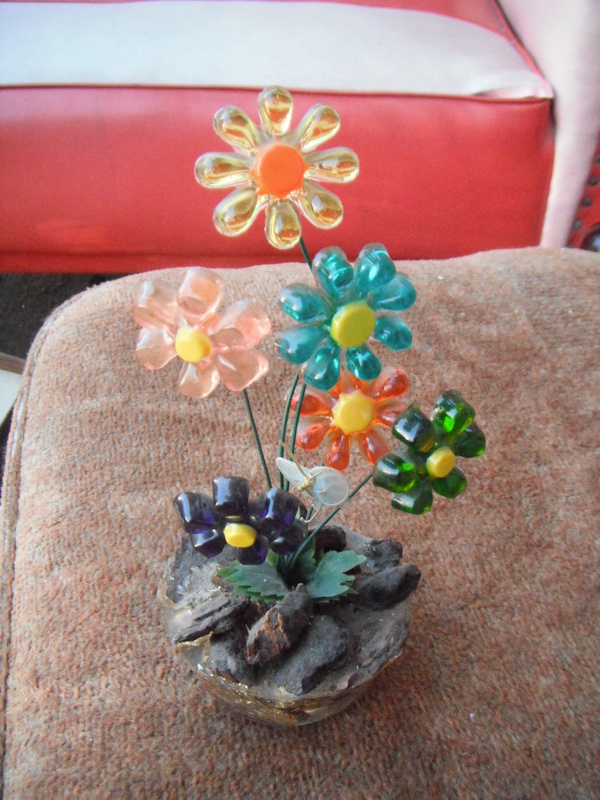 Maybe I can put it in my (future) Etsy store for 10$ based on it’s kitsch value alone. Or maybe I can try to barter it for a beer on CL. I really like this piece. Pretty retro, and really charming. I feel good just looking at it. The colors are really nice. I’m keeping this one! 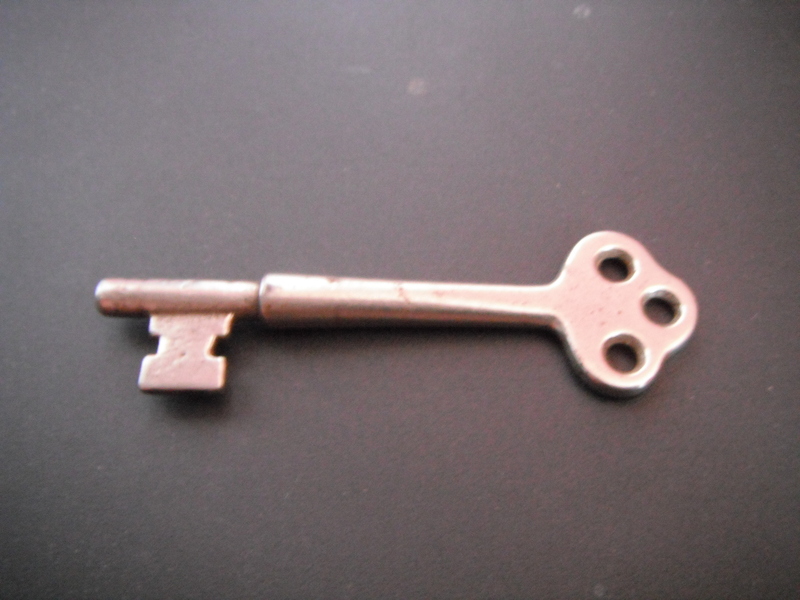 A skeleton key. I wonder how a skeleton key key-hole works, as it seems like it would work a bit different from contemporary keys. My mom will claim this in 5…4…3….. 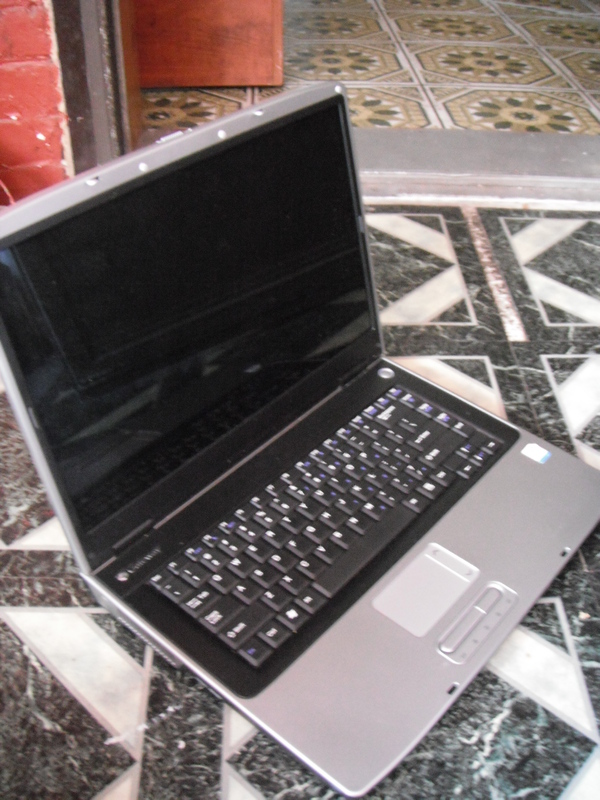 I found this laptop (Gateway MA2) a while back on Esplanade between Villeneuve and Mont-Royal. I plugged it in and it started smoking and smelled nasty. It might not be too hard a fix though, and have arranged to bring it in and see how much it might cost. If it’s cheap, I might get it done so that I can possess the power of laptop. Other than the smoke, it looks really clean. It has Windows XP, so it’s reasonably modern as well. Anyways, that’s the end of my PSA for today. I’m going to go to a picnic in the park. 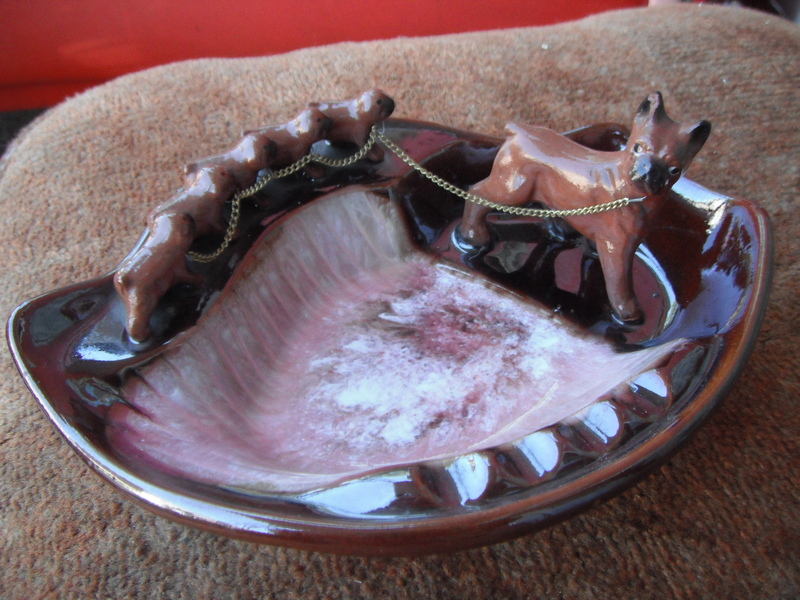 The doggie ashtray could be a candy dish, or a men’s pocket contents caddy, or even a shallow planter for some kind of spreading succulent for someone with wide window sills (which I don’t, unfortunately). Cool flowers; I haven’t seen those in years. The laptop should have went to an electronics recyclers (here’s a Montreal one I found on kijiji http://montreal.kijiji.ca/c-buy-and-sell-electronics-ELECTRIC-AND-ELECTRONIC-RECYCLING-W0QQAdIdZ227656109 & then there’s this one http://www.pcrecycle.ca/).